On the spot market, palladium is traded using the code XPD. A majority of the trades are settled in USD, using the code XPDUSD. For quite some time now, the price of palladium has been heavily impacted by changes within the automotive industry since this sector is a major end-user of palladium. In 2016, the CPM Group reported that automotive use of palladium is excepted to increase in the future, as the automotive industry shifts from platinum to palladium. A major force on the palladium market is the automobile industry, since palladium is used in catalytic converters. When consumer demands shift from smaller vehicles to larger vehicles, it causes an increased demand for palladium since more palladium is required for larger vehicles. When consumer demands shift from gasoline-powered engines to diesel-powered engines, it causes a decreased demand for palladium, since platinum is more commonly used to reduce emissions in diesel-powered engines. Other major demand-creators on the palladium market are the electronics industry and the jeweler industry. 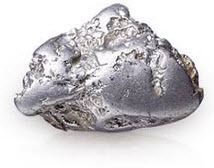 The alloy sold by jewelers as “white gold” contains gold + one or more white metals, and palladium is one of the white metals that can be included. As the demand for catalytic converters increased towards the end of the 20th century (largely due to stricter environmental laws on major automotive markets) the spot price of palladium increased as well, peaking at nearly 1 000 USD per troy ounce in early 2001. It should be noted that a contributing factor to this price hike was speculation based on an assumed future demand for catalytic converters, not actually demand for palladium in the years 2000 and 2001. Russian and South Africa are the main suppliers of palladium for the world markets. Of all the palladium mined in a typical year, almost 45% comes from Norilsk Nickel-owned mines in Russia and approximately 40% comes from various South African mines. Of the remaining palladium, a majority comes from mines in Canada and the USA. This situation makes the price of palladium sensitive to issues regarding Russian and South Africa. The Russian government controls a large palladium reserve formed by palladium mined during the Soviet period. Exactly how large this reserve is and how it is managed is a state secrete. Historically, the Russian government has now and then sold off large amounts of palladium from this reserve, and such sales tend to prompt major decreases in the palladium spot price. On markets such as the London Platinum and Palladium Exchange, special ingots are used. These ingots are assayed by approved assayers and mus then remain within the exchange system to safeguard their quality. More informally, palladium coins and rounds are also utilized by those wishing to invest in palladium, especially by small-scale investors with no access to major exchanges. Unlike gold and silver coins, standardized palladium coins for investment purposes is a very new invention. Compared to gold coins and silver coins, the market liquidity is lower for palladium coins and you can expect larger spreads. Palladium rounds look like coins but are noted minted by a government to serve as legal tender. Sierra Leon Trailblazing Sierra Leone issued their first palladium coins as early as 1966. Tonga Tonga started issuing palladium coins in 1967; the Tonga Palladium Hau. Soviet Union (USSR) This is the country that has minted the largest number of palladium coins. The Soviet Union was major producer of palladium, a legacy now taken over by Russia. Canada A well-known example of a Canadian palladium coin is the Canadian Palladium Maple Leaf which consists of 99.95% palladium. The palladium content in each coin is 1 troy ounce. The Royal Canadian Mint minted Palladium Maple Leaf coins in 2005-2007, in 2009, and then again from 2015 and on wards. Other examples of Canadian palladium coins are the Big & Little Bear Constellations. Four versions exist; one for each season. These are limited edition coins. 293 were minted for winter, 297 for spring, 296 for summer and 296 for fall. China A well-known example of a Chinese palladium coin is the Chinese Palladium Panda. The United States Mint has been authorized to produce and distribute a palladium coin, but at the time of writing, no such coin has been issued. The authorization is from 2010 and for a 1 troy ounce palladium coin with a 25 USD face value. Example: You wish to expose yourself to the spot price of palladium, but without having a drawer full of palladium coins hidden in your office. 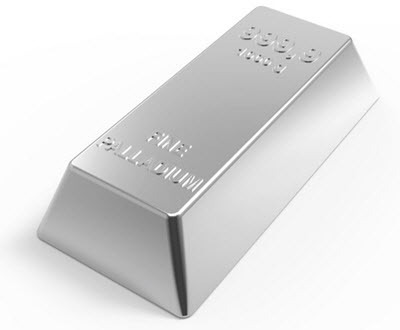 So, instead of buying actual physical palladium, you invest in the LSE:PHPD – also known as the ETF Physical Palladium. This exchange-traded fund, which is listed at the London Stock Exchange, is backed by allocated palladium bullions. Another way of gaining exposure to the price of palladium is by investing in palladium producing companies. Of course, by doing so you will not only gain exposure to the palladium price but a long list of other issues as well, such as the political stability in the mining areas utilized by that specific company. Sticking to exchange-traded stock companies has its advantages, since exchange-traded shares typically have higher liquidity and smaller spreads. The rules set for exchange-traded stock companies are also stricter than for other companies, especially at large exchanges such as NYSE and LSE. MCX:GMKN Giant Russian palladium mining company responsible for approximately 45% of the palladium mined worldwide in a year. Sells palladium power and palladium ingots. North American Palladium NYSE: PAL Largest producer of palladium in Canada. Operates the Lac des Iles mine in Ontario. Stillwater NYSE:SWC Based in Montana, USA. One of the major US palladium miners. The world-market price of palladium and the performance of palladium-exposed investments is strongly tied to events taking place at The London Platinum and Palladium Market (LLPM), since this is the most important over-the-counter trading centre for palladium. In 1973, a group of metal dealers formed the London Platinum and Palladium Quotation, and this eventuality grew into the LLPM of today. Who are the LPPM Members? An LPPM member can be either a full member or an associate member. At the time of writing, LLPM has no more than 16 full member and ten of the 16 full members are market making members. The market making full members are JP Morgan Chase Bank, Goldman Sachs International, Standard Chartered Bank, HSBC Bank USA NA, UBS AG, Bank of Nova Scotia (ScotiaMocatta), BASF Metals Limited, ICBC Standard Bank PLC, Toronto-Dominion Bank, and Credit Suisse. The other six full members are Valcambi SA, Heraeus Metals Germany GmbH & Co. KG, Tanaka Kikinzoku Kogyo K.K., Metalor Technologies SA, Johnson Matthey PLC, and PAMP SA. The members (full members or associate members) are large international banks or belong to various sectors of the palladium and/or platinum industry. The membership list does for instance include distributors, manufacturers, fabricators, refiners and producers of platinum and/or palladium. Twice a day, Monday through Friday, the palladium fixings are set by four LPPM members. The first fixing is set at 10:45 CET (morning session) and second one is set at 15:00 CET (afternoon session). The LPPM bid price serves as a benchmark for palladium prices world wide, since LPPM members guarantee that they will purchase (good delivery) palladium at the LPPM if offered to them at the bid price. Many trades on the LPPM are speculative and involves parties that have no intention of physically delivering or taking delivery of palladium ingots. Even though physical delivery is possible within the system, most trades are cancelled in advance or cash-settled. Welcome to my blog where i provide information on different financial topics.